Export or email exactly what you’re seeing in the field. 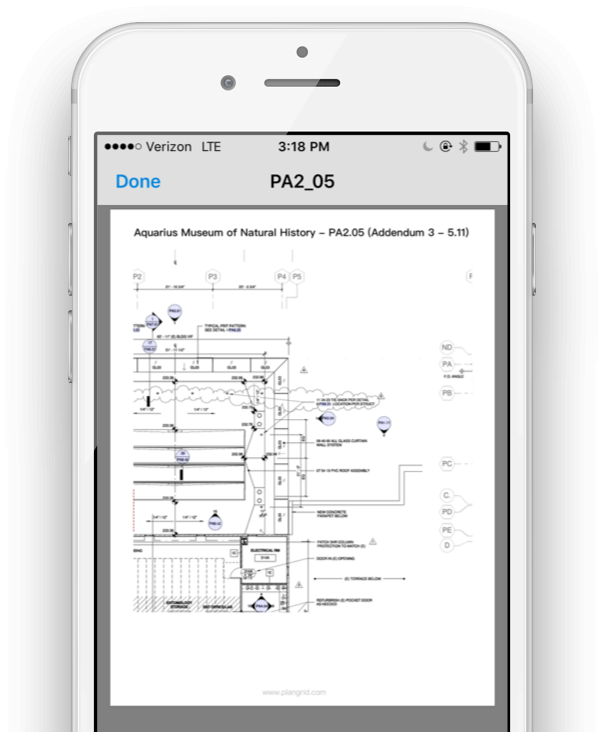 People just don’t know how powerful a tool PlanGrid is to use. The organization, communication, reliability and accountability. It’s just a powerful tool that allows us to do our job. Snapshots create an image of the zoomed in portion of the sheet you’re viewing for easy emailing. 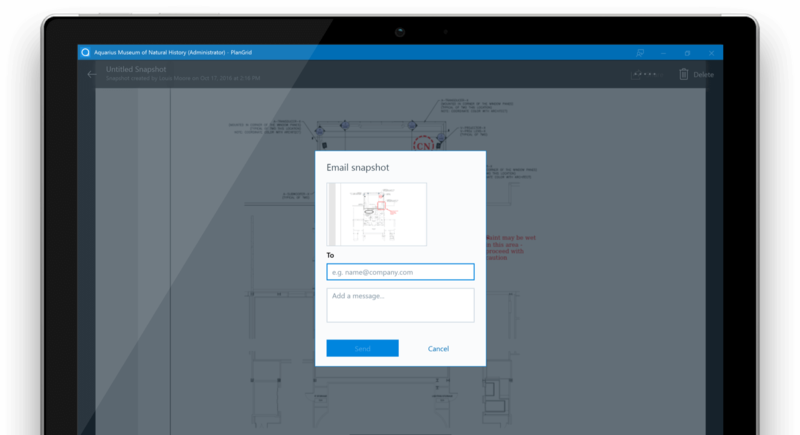 Send snapshots to anyone—even if they’re not on PlanGrid. Along with the portion of the sheet you’re viewing, selectively send or export any relevant photos, as well as a PDF of the full sheet. 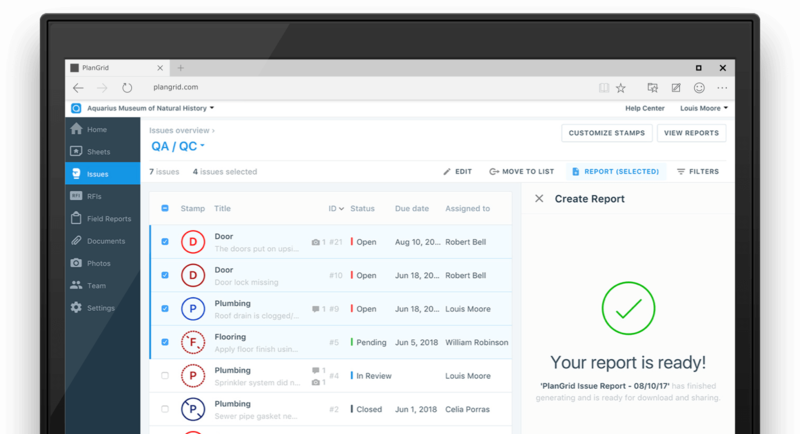 Instantly share reports with select issues, including dates, times, location on the plans, and related photos. It’s your digital audit trail of who did what, and when.